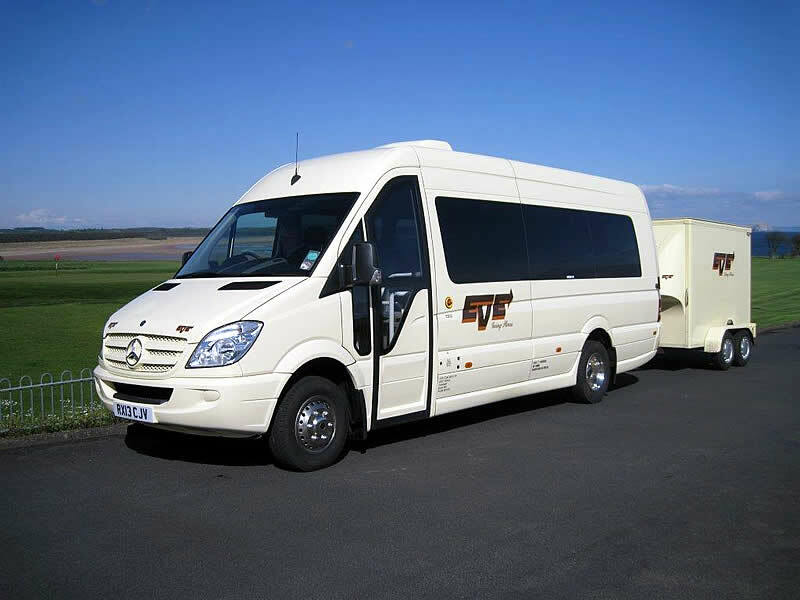 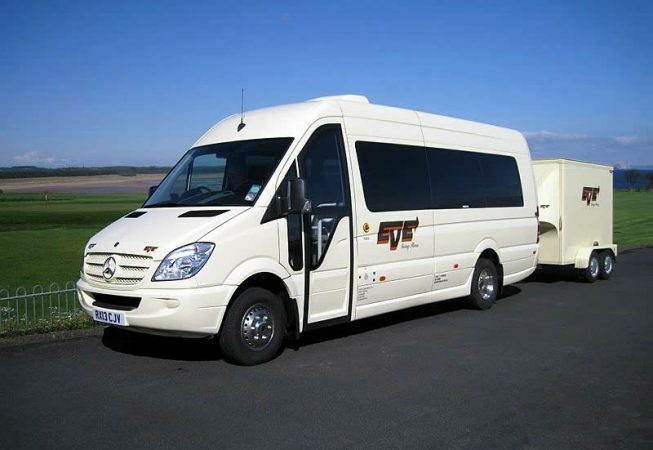 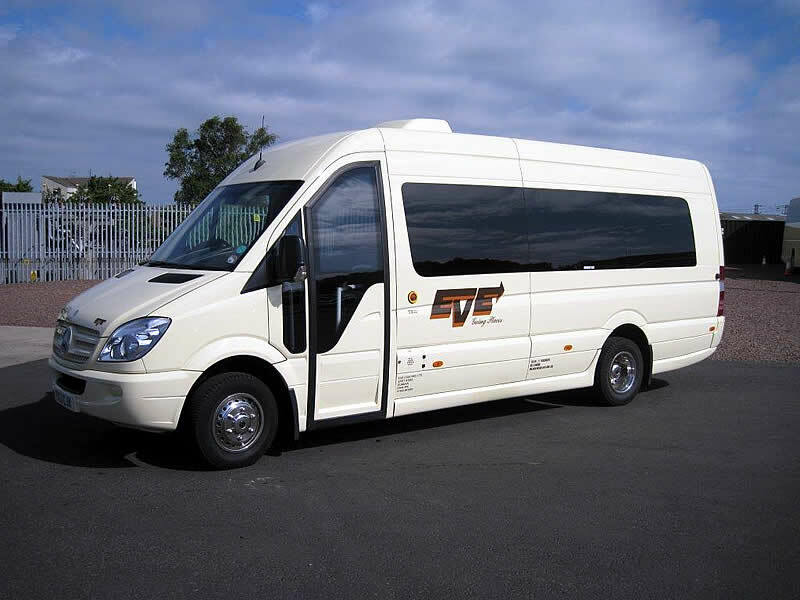 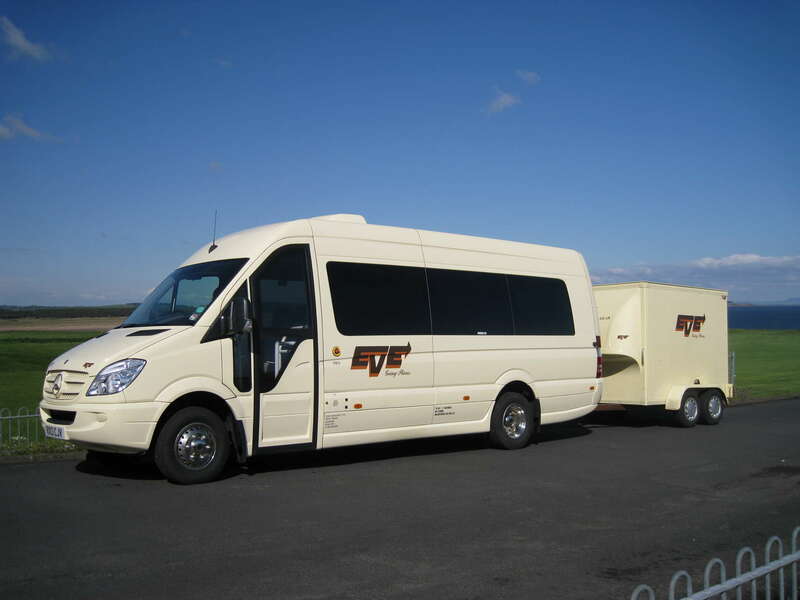 Our Mercedes 19 seater Midi coaches perfect for very small groups looking for quality and comfort. 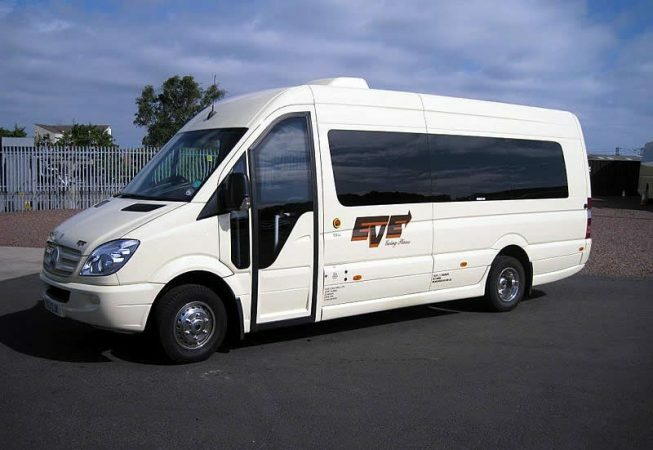 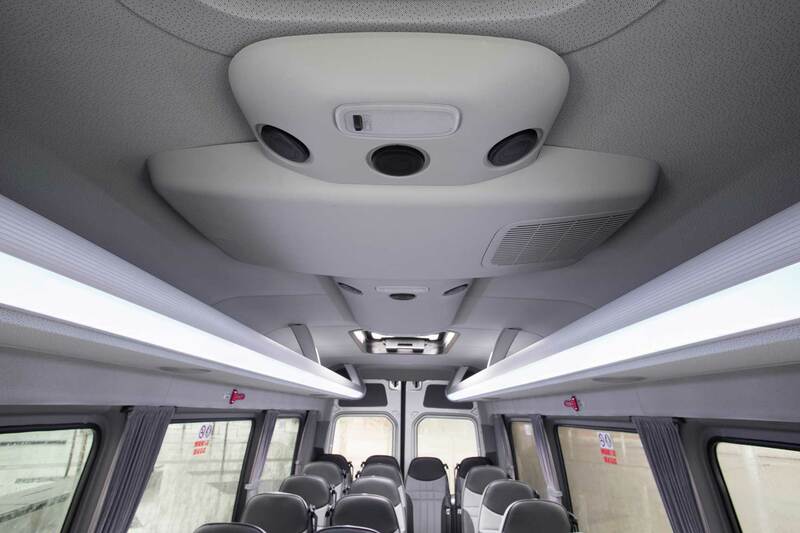 With reclining seats, racks, and full height interior they are ideal for corporate, weddings, or short trips. 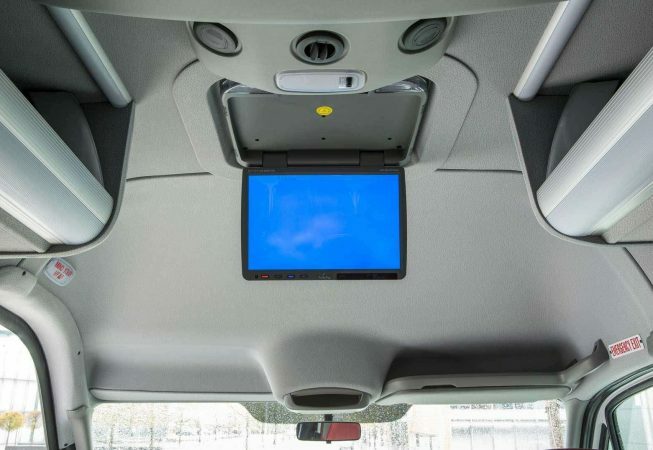 The coach is fitted with 3-point belts. 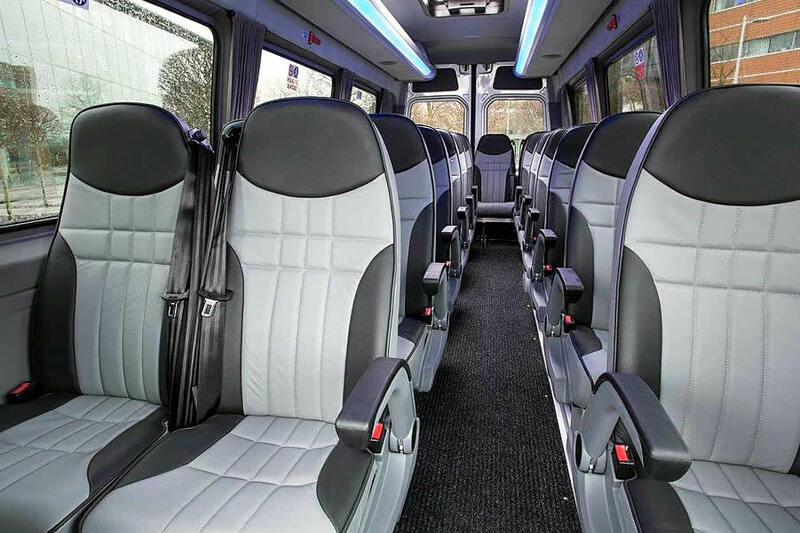 Leather interior with seating up to 19 passengers. 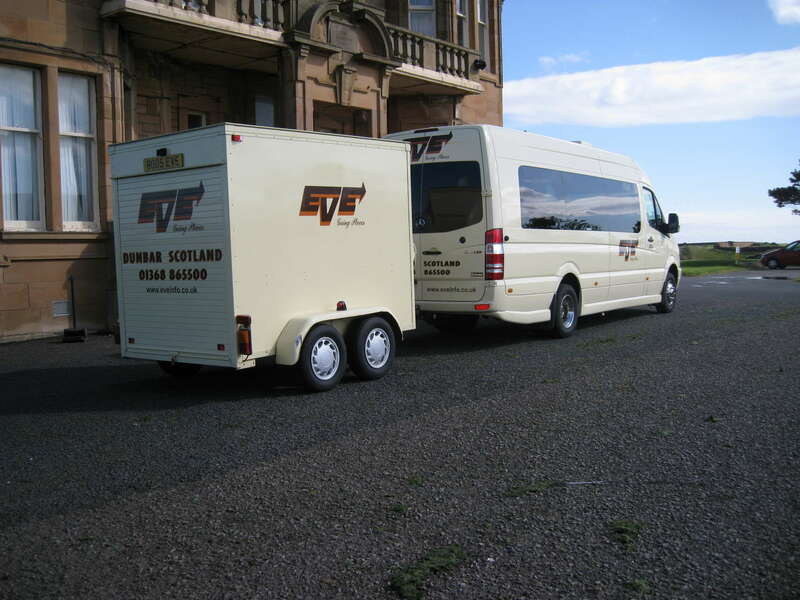 Can be fitted with a Secure box trailer available for increased capacity to hold Golf clubs, luggage etc. 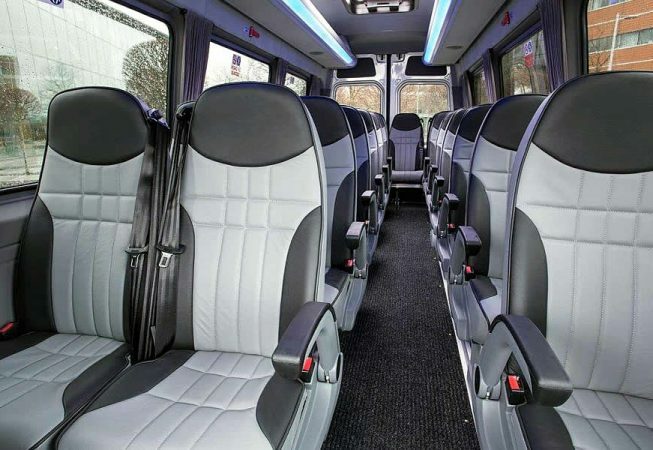 Plush interior with seating up to 19 passengers. 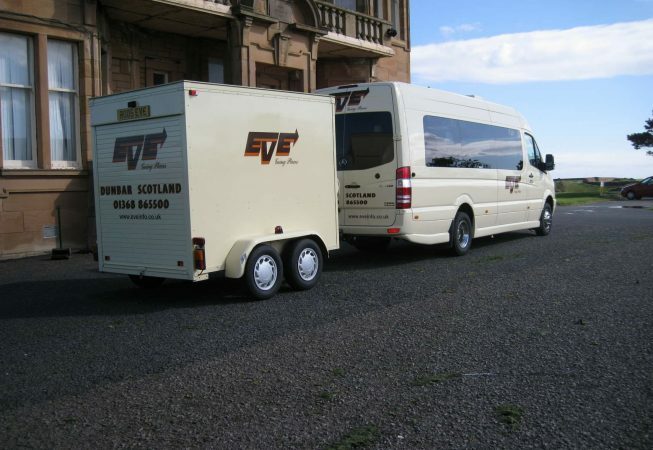 Is ideal for small parties, golf trips etc.